The grain on that stone seems to know the history of the whole planet. A thousand-year history, the story of thousand raindrops slowly penetrating matter, of the sun drying up, warming the stone and burning it, sometimes. It has experienced the cold numbing, “compressing” and freezing the stone at times. That grain has seen the wind blowing away any time change efforts. It knows that the wind sometimes howls through the travertine’s internal corridors. Now this story telling comes to a crossroad. 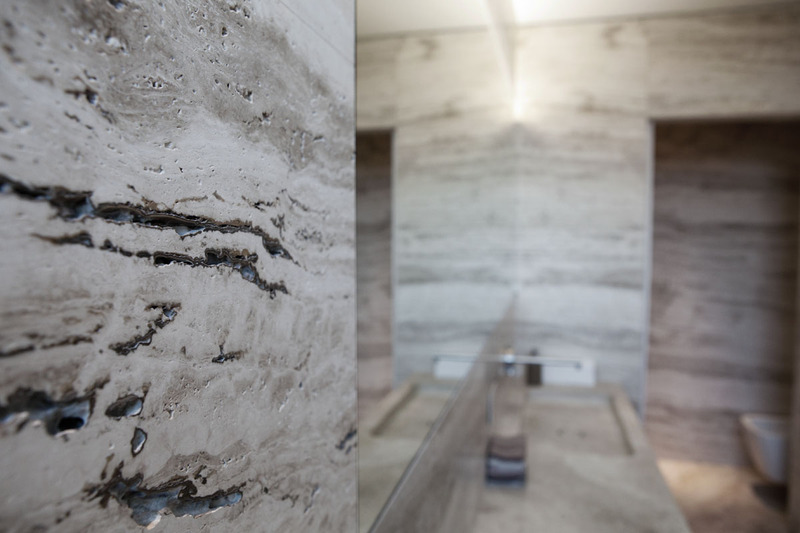 One can either ignore the history of the stone, just use the travertine for commercial purposes making a profit out of it, or he can rediscover the soul of matter and tell its story with his hands and creativity, he can tell what was and what will be. 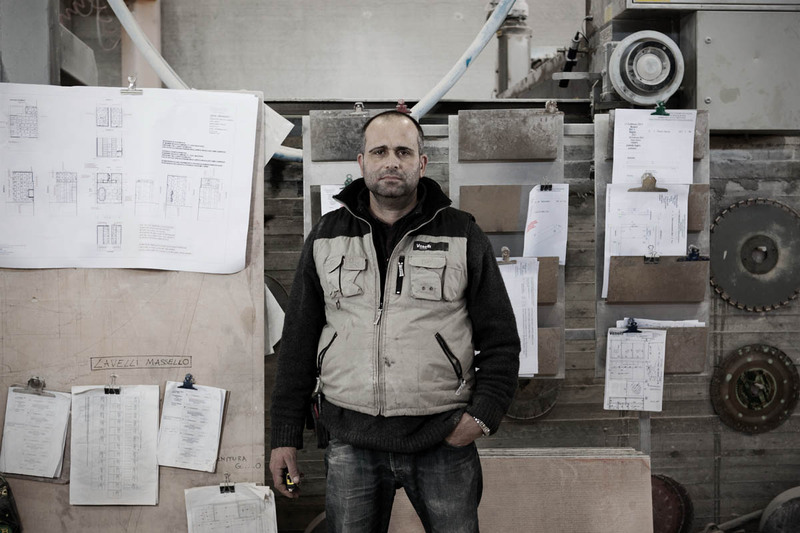 This is the story of Vaselli, an interior design company. 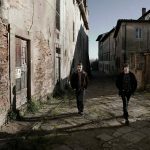 It’s not a chance that their payoff is “Spirito Pietra” (“soul and stone”). We’ve mentioned creativity and handwork. But who are the “authors” of Vaselli’s story? 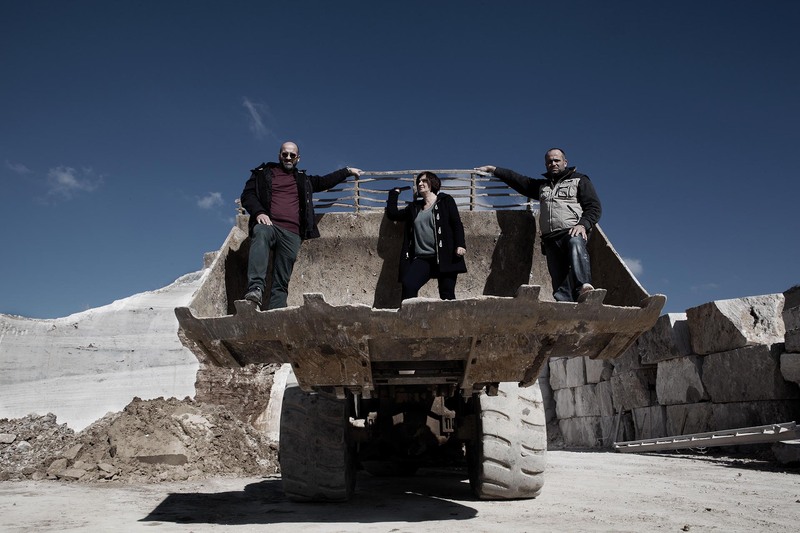 There are Cinzia, Danilo and David, at the head of the company: a sister and two brothers who decided the story of Rapolano Terme, a little bit of heaven in the Siena province, was worth telling the whole world. 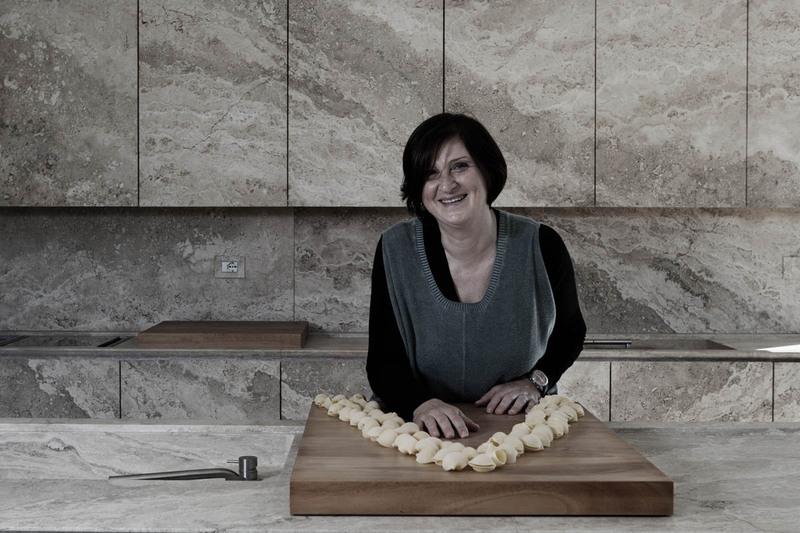 Cinzia gives the company a feminine touch, which is so important in a business. She brings her smile, she’s the liaison between her two brothers and she deals with several company issues. She also runs the showroom “Casa Vaselli”. Clients, especially from foreign countries, are won through her mastery and the monumental products they find in the store. But they actually aren’t “monumental”. On the contrary, they’re meant to be used, to get dirty through flour, eggs, pasta, sauce, vegetables. They’re meant to get the colours of a real kitchen. 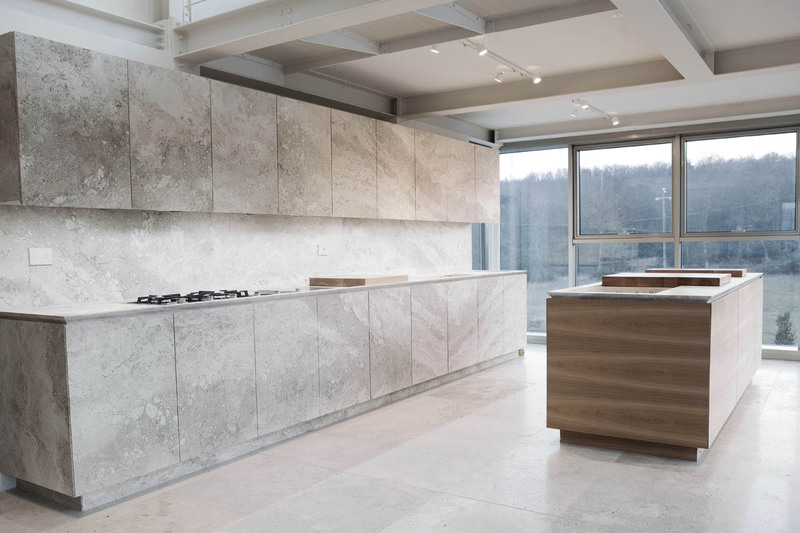 The travertine is the base, the white canvas on which you can paint with the joy of creative cooking. Danilo seems very serious at first. You look at him in the eyes and you can tell he’s studying you. But it doesn’t take much for him to open up. Suddenly, he shows his cheerful side and you get overwhelmed. His character matches perfectly his role in the company: he’s in charge of the products designing and developing. You have to be creative, to design a product. It takes enthusiasm, to achieve the quality standards of the Italian design élite firms. 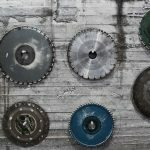 Then, you need to be very serious about the technical parts, to get focused and do some research work to develop the product. Lastly, there’s David, few words many deeds. Talking is not his strong suit and mainly acts silently. But he’s an essential pawn, a silent director in the Vaselli production. 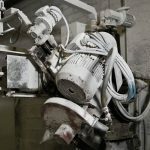 You see him moving among stone blocks, among the marble and travertine cutting machines. Sometimes you find him staying right in the middle of a group of people giving them work instructions. 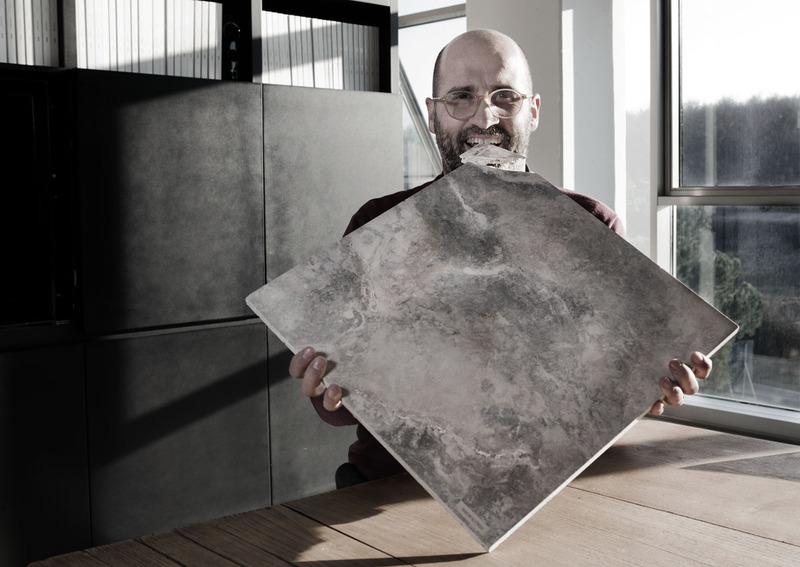 What makes Vaselli unique is the idea behind their creation: respecting nature. Natural elements such as stones have been forming for thousands of years and men have to preserve their existence acting wisely. Made in Italy is so similar to a rough travertine block. You have to extract, cut, assemble and point it, before you get it in your house, as beautiful and perfect as if it had always been there. The creative design and the following work processes start from a rough block. Get in front of your kitchen furniture and imagine you’re looking at a travertine block. Go to your bathroom and imagine you’re stepping into a stone, a hollowed out stone wrapping you up, surrounding and protecting you completely. 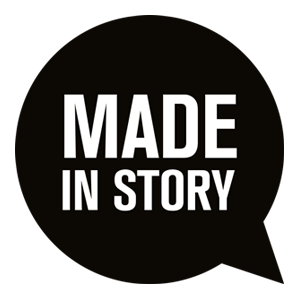 Made in Italy is a concept. The “rough stone” is Vaselli’s original concept, and it’s both the starting and the arrival point of their design work. What follows is a working process developing on two apparently different levels. However, these two levels have never been closer in history and they perfectly reflect today’s world: digital and analogic. 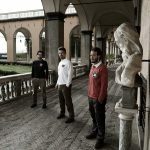 Vaselli’s unique production combines computer design work with the handwork of three able craftsmen: Andrea, Riccardo and Achille. The 3D versions of the products help meeting the clients’ request to the last details. The result is always a unique original product. And “uniqueness” is something you can’t steal. The artisan’s work is the last step to produce and exclusive product. Nowadays, you can count artisans on the fingers of one hand. There are less and less and they are more and more distant form the business logic of profit of many companies. It’s not this way at Vaselli’s. You go down to the manufacturing department and there they are, dirty with white dust working the matter. They know the ropes; those secrets have passed on them from their dads or grandads. Maybe from both generations. 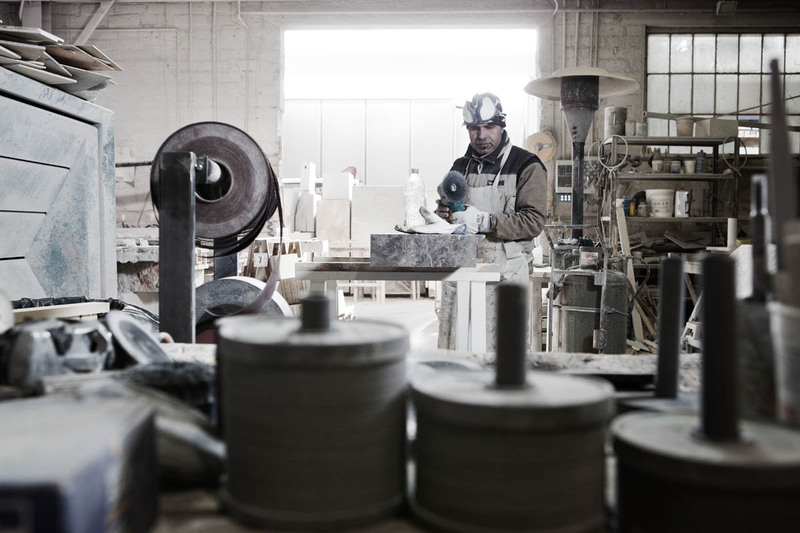 You can tell quality from the stone grains: at Vaselli’s they know how to take a block of stone back to its original beauty after working it, after altering its characteristics through many processes. But they won’t answer your question … fair enough, it’s a secret. Thank God, there are secrets. 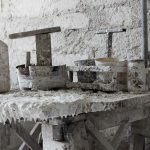 Some decades ago, in a hot warehouse in July, a father passed on his boy the secret of a magical mix: stones patchwork, dust and filler for the empty and full spaces of the travertine. That father was full of love and hope. It’s like getting the full picture, it looks like a god’s plan meant to bring the universe creations back to their original form, a god of the universe giving energy and inspiration to the few “factory artists” left in the world. So, when you’re cutting some yellow, green, orange products of the earth and a slice falls on an empty part of the travertine in your kitchen, think that wind has been blowing away dust from that surface for centuries. When you take a shower, hearing the sound of water, look at the block of stone surrounding you and imagine a downpour of rain, a thunderstorm, or just focus on the single drops falling constantly, pushing their way through the stone. This would be paying tribute to Nature.